Ammo is scare and guns are too expensive right now so win some free swag! 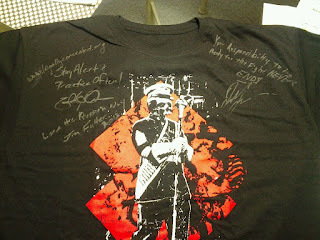 Want to win an autographed out of print Russian Roulette Clothing Tshirt? 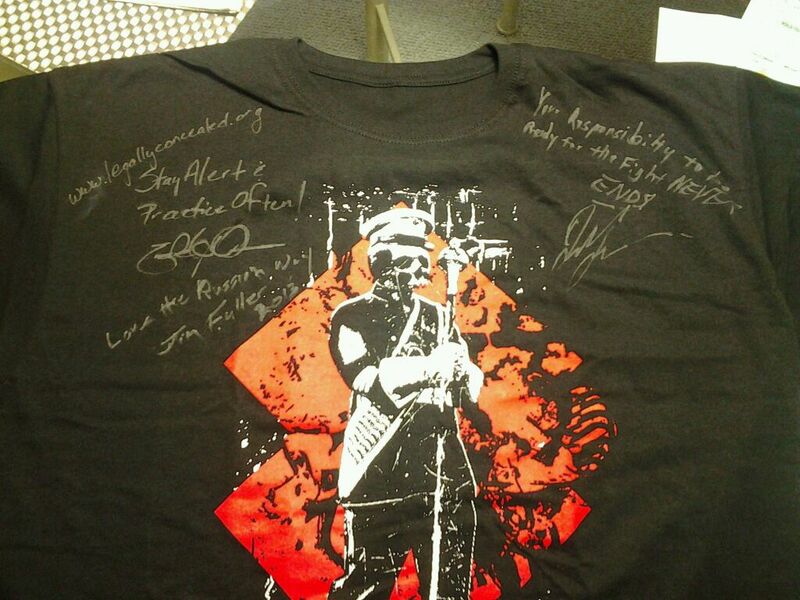 It is signed by James Yeager (Tactical Response), EJ Owens (Legally Concealed) and Jim Fuller (Rifle Dynamics). LIKE these 4 Facebook pages then copy/paste "Russian Roulette Clothing Tshirt giveaway" onto them as a comment or recommendation. I will pick a random winner who meets all the criteria on 3/16/13. Valid in USA only. I want you to win me so hard!